As the saying goes, a picture is worth a thousand words. But what about portraits, the great precursor to photographs? The following are two portraits Walt Disney Imagineering shared with us that will be featured within New Fantasyland attractions when the area opens at Magic Kingdom Park this holiday season. This portrait of Beast will adorn the walls of the Be Our Guest Restaurant. The use of light in this painting is what really strikes me. The shadows set a slightly foreboding mood and the light seems to brighten only around Beast’s human-like eyes, a trick that draws yours up to his. And check out this portrait of Gaston, who strives to strike the “perfect” hunting pose – so much so that it’s humorous. This portrait will hold a place of honor as one of the main pieces of artwork in Gaston’s Tavern. And speaking of Gaston’s Tavern, many of you have been asking for an update on this food and beverage location. Our Food Author Pam Brandon hopes to have something to share very soon! So who do you think posed for the best portrait? Tell us in the comments section below! WHEN IS THE BE OUR GUEST RESTAURANT SCHEDULED TO OPEN? What time frame constitutes “Holidays” .. We are wanting to go to WDW before the end of the year and we would like to be able to see all of the new fantasyland expansion other than the 2013 and 2014 ques.. Can you be a little more specific on the time frame (dates)? Anything more specific as to when Princess Fairytale Hall will open? Taking my princess to Disney in late February for her 3rd birthday and wondering if it will be open yet? Have only seen the general 2013. Not yet. Keep checking…we’ll share the news as soon as we have an update. Absolutely enjoying all of the New Fantasyland updates, but I would love to get an update on the Test Track refurbishment!! Thanks a lot, Melissa. I hope to have an update on Test Track to share pretty soon. I’m working on it! I love the picture of Beast! Every time I visit Fantasyland I try to see over the fence and love the progress I am seeing. The new que for Dumbo is awesome. Tried to Fastpass but discovered that if you Fastpass Dumbo, you cannot stop in the new play area. so we got right back in the stand-by line to experience it. Fantastic area. We cannot wait to eat at the Be Our Guest restaurant! Thank you for all the updates. I was there last Friday and this area is just huge, isn’t it? When are reservation going start being accepted for Be Our Guest? We should know pretty soon. Keep checking back. As soon as we know, we’ll share it here. When do you think “Holidays 2012” will get a more definitive opening date for Fantasyland? LOVE the Gaston portrait. Not a fan of the Beast – surprisingly because he is my favorite. It just seems a little “off”. I LOVE the portrait of the Beast. VERY dramatic and yet, he seems to invite you into his World, as well. The portrait of Gaston looks like the one from the film. 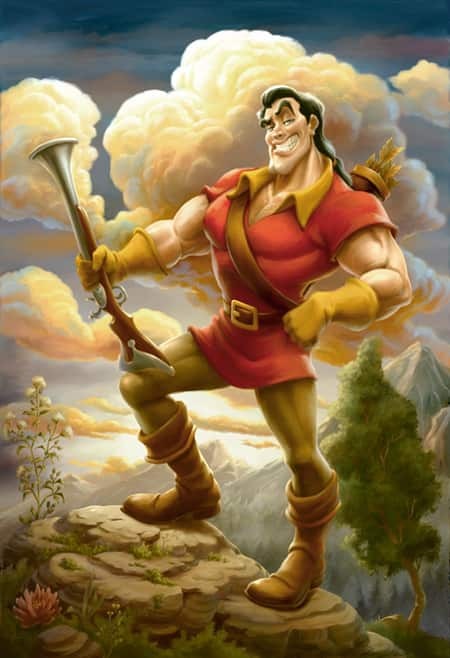 Was the one shown in the film an inspiration for this picture of Gaston? It’s appropriate for him, that’s for sure. Can’t wait to enjoy both places! Already planning on going to the Be Our Guest restaurant for my birthday next year. LOVED Pecos Bills, where I was this year, on my birthday this past Monday. I can’t help but notice that Gaston has a quiver of arrows on his back but no bow to shoot them with. Does he put them in the gun to shoot the arrows? My vote goes to the portrait of the Beast. Like you, I like the way the artist used light to make you look at his eyes. Both are good though!!! When will we know what “holidays 2012” means? Our family is going in early November. I hope it’s open! I can really see the prince in the Beast. Do you remember the torn painting of the prince in the forbiden west wing? It’s the same, but in his Beast form! However, I have a question about consitancy… I mean, the Beast was filled with self-loathing, he referred to himself as a monster. Would he really have a painting like this in his home? Either way, they’re great works of art! Awesome pictures,when will they post the menus for both places and is it true you can make reservations in August? Love both of the portraits, but especially the Beast’s. Can’t wait to see everything once it’s complete. We were there in June, and from a distance, everything looked amazing. We were in Fantasyland yesterday as part of our DisneyRunFest2012 trip. The new additions are fabulous! Of course that is the first place we headed in the morning while it was still nice and quiet. I can’t wait to see even more in January durning marathon weekend! I have to say that the Beast is my favorite. He has such gentile eyes. I wish we were making plans to go to WDW. I promised my grandson we would be there in two more years. He’s already been there 5 times, he’s only 15. Pretty soon he will have been there as much as I have. Saving my pennies so we can get there. 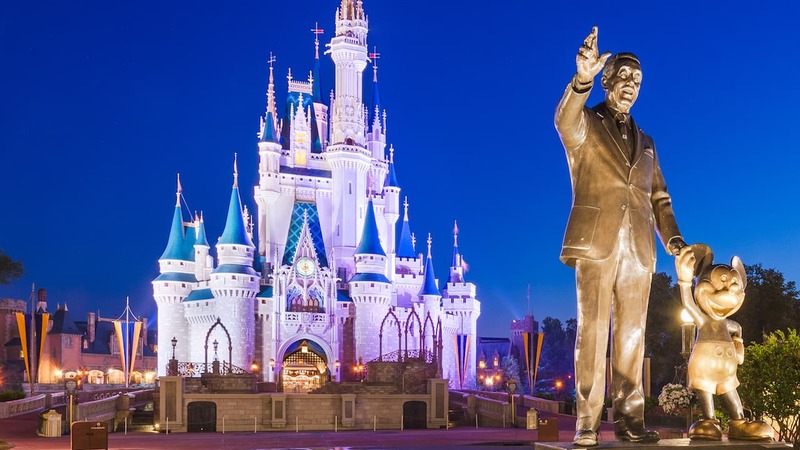 Speaking from my personal experience of growing up in a family who REALLY had to save to travel to Disney, your grandson will really appreciate your effort and the special quality time you’ll spend with him at Disney, for years to come. Best of luck! Sorry i meant to say Gastone But spell check wrote Thone….. These Portraits are awesome!!!!! Beast definetly looks serious and he has cool human like eyes on thone is kinda obnoxious!!!!!!! Both portraits are great but i have to go with Beast!!!!!!! Will Gaston be available for meet-and-greets at his tavern? No word on character meet-and-greets yet. Keep checking back! I can assume Holidays 2012 does not include the First Week of October? (Next time I’m visiting WDW) I have tiny hope this could include the time of Mickey’s Not So Scary Halloween Party… but I’m not holding my breath. We don’t have anything more specific…yet. Do you know when we will be able to make reservations? I’m SO excited! Reservations for Be Our Guest will open in late August – no specific date yet. Pam Brandon will have that update closer to time. Will the Portrait of the Beast change as it does like the one in the library at Sorcerer’s Workshop at California Adventure? Gaston’s left foot looks like it is floating. You need a slightly bigger/darker shadow. I can’t wait to see it in person. Can you tell me when Be Our Guest restaurant will be open? All we know so far is “holidays 2012.” Please keep checking back. As soon as we know something, we’ll post it. I agree with you Jennifer regarding the use of light in the Beast painting, as well his expression is interesting. It’s almost like an expressionless passport picture. LOL. The Gaston portrait is great too and shows a typical conceited Gaston. Thanks again for the update! What would be really cool is if Beast’s portrait would change into the Prince occasionally! Will there be a private tour of the ‘Little Mermaid’ and ‘Beauty and the Beast’ areas like the Disney Parks Blog did with ‘Carsland’? Ha! Good quote…and thanks for the compliment! I just read(from an internal Disney source that works with TAs) that Be Our Guest restaurant is going to be two credits for both Table Service at night AND counter service during the day. Can you confirm or deny this? Thank you. Beast is so serious, but Gaston is so….so…. Uh he is a goofball. I would say Beast took a better photo. Gaston is totally goofy in this pic! 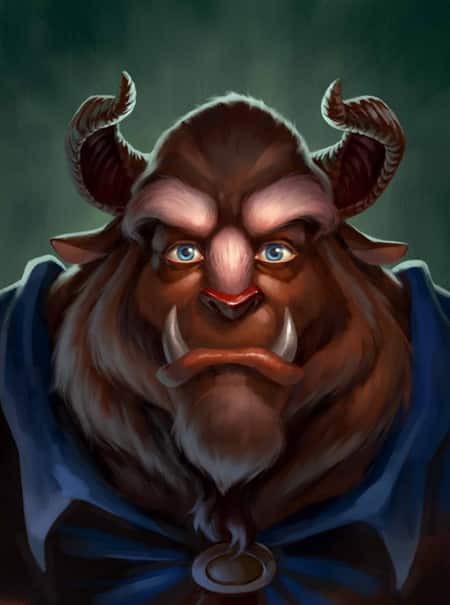 I love The Beast portrait! I can’t wait to see everything this holiday season. I’ve had conversations with a few cast members and I’m super excited to experience it for myself! I can’t wait to visit early next year. Any word on Pete’s Silly Sideshow in the Storybook Circus area? I haven’t heard anything about this attraction in the updates to the new Fantasyland. My son is a big fan of Pete from watching Mickey Mouse Clubhouse. There are a few big-top tents that are a part of Storybook Circus. One is Pete’s Silly Sideshow, which will house a character experience (no word yet on specific characters). Another will be Big Top Souvenirs. Please keep checking back for more on these new locations! I wish Gaston’s looked like it did in the film! Very nice! I hope they’re HUGE. When will the Storybook Circus tents open? i LOVE that Gaston portrait!! are there any plans to sell that at the Art of Disney stores? would make a perfect addition to my disney home! It’s hilarious, isn’t it? We hope to have an update on Merchandise soon. These portraits are amazing! I was thinking about another portrait that I saw in the beginning of the movie that was in the west wing…it was a portrait of the beast before he was turned into a beast…he did tear it up a bit because he was angry though..do you know if that will be another portrait in be our guest? I’m not sure. This is all that WDI has shared so far! Any word on when the remainder of Storybook Circus will open? Those are great!!! We can not wait to check out the new Fantasyland area when it opens!! To bad its not going to be open in early oct tho. Guess we will have to just see it from over the walls for a little bit more.